Your restaurant’s menu tells your story. It highlights your culinary strengths and shows off your brand persona. It’s the first thing handed to customers as they sit down for a meal. But, would you be surprised if they’ve already researched it online before stepping foot inside your physical location? If your restaurant was a movie, your menu would be the script. And that script can determine whether or not you’re a blockbuster hit. And that just happens to be our theme for this year’s National Restaurant Association (NRA) show. Our goal for the event is to educate you on how to get the most out of our menu. Stop by our booth (6482) for tips, tricks, and insights into how to make your menu stand out online and in-house. You also won’t want to miss out on an exclusive free event that we’ll be hosting with famed menu engineer Gregg Rapp. “Rappid Menu Boot Camp” will take place May 21st & 22nd at the SinglePlatform booth. Gregg will give you a one-on-one consultation where he’ll offer content and design suggestions for your menu. 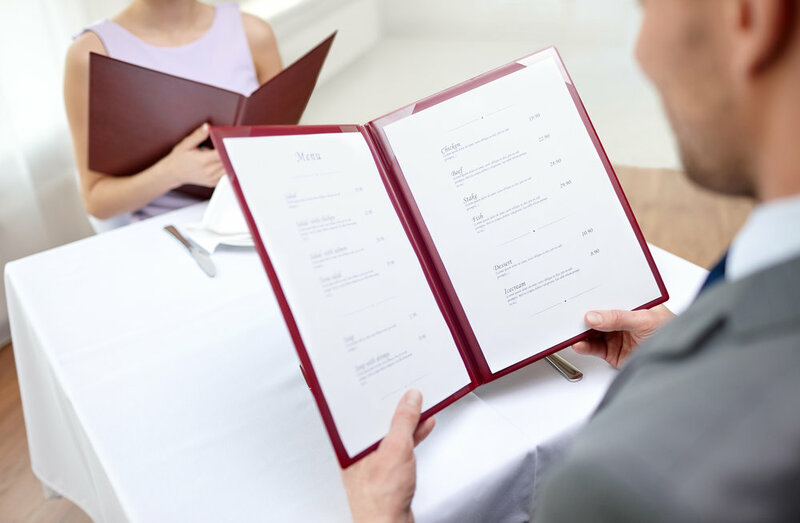 With a properly engineered menu, you can see an increase in restaurant profits. And what business owner doesn’t want to make more money? Spaces are limited, so book your spot today! There are many ways to maximize your menu’s potential so you can provide customers with the information they want while wowing them with your offerings. Below are just some of the topics we’ll be discussing in our educational sessions at the NRA show. As mentioned, it’s quite likely that people are looking for your menu online before deciding to make a reservation or stop by your restaurant. Oftentimes, your online menu is the first impression. With the majority of people turning to the internet to research before choosing a place to dine out, online presence is crucial. And without a searchable menu, you risk being undiscovered by new customers. The impact of your online menu can be compared to that of a sidewalk sign or newspaper flyer before computers existed. People are looking. They want information at their fingertips, instantly. Having your menu available online allows potential diners decide if your restaurant has what they’re looking for. Still, about half of those people researching places to eat don’t even know what they’re in the mood for. They’re performing this online research in order to find out. This is the part where you can maximize opportunity even more. How? With how you present your offerings. Remember what we talked about earlier. Your menu is your movie script. It tells your story. So, be creative. Paint the picture of the meal with words, so that by the time the reader has finished, they’re already picturing themselves in a seat at your table. You may be thinking, “how can I make a basic steak more interesting?” It’s actually easier than you think! Gregg Rapp, the Menu Engineer encourages restaurateurs to be descriptive when it comes to menu items. Don’t just call it a strip steak and potatoes. Describe it. It’s the NY strip steak with fresh herb butter, whipped garlic potatoes and Urban Farm’s tri-colored heirloom carrots. Once you get those online researchers through your door as customers, your physical menu will have its time to shine. Once they sit down, customers are only spending a few minutes looking at your menu, so make it count. Be strategic about where you’re placing items on the page. Hotspot research shows that the human eye is often drawn to the upper right corner, so put a show-stopping meal option there (find another place for the chicken nuggets). When it comes to the architecture of the items, you should take it a step further than just randomly placing them on a page. There is a strategy behind a well-executed menu that utilizes both art and science. And it has an effect on how customers order. Gregg Rapp has put over 35 years of research into perfecting menu design. His studies have revealed some pretty interesting facts, like those mentioned above. Those are just some of the insights Gregg has provided to restaurants through the decades. Gregg has a wealth of knowledge that can be utilized to maximize your menu’s potential. It’s clear that your menu is more than just a sheet of paper. It helps to uphold your brand presence online and in your restaurant. It tells your story. Although it may seem like a challenge to get your menu just right, we think we can help you out. Menu education is important to us. And we want to share it with you. At SinglePlatform, online menu management is our bread and butter. Physical menus are Gregg Rapp’s. If you’re attending the NRA, you won’t want to miss the opportunity to learn what can make your menu successful. Gregg will be providing you with a free one-on-one menu consultation during “Rappid Menu Boot Camp” at the SinglePlatform booth. He’ll take a look at your current menu, offer suggestions, and provide you with ideas based on what he’s learned from decades of experience. And of course, we’ll be there to answer any questions you have about your online presence. This free event will take place from Monday, May 21st through Tuesday, May 22nd at SinglePlatform’s booth (6482) in the North Hall. The NRA show is May 19-22 at McCormick Place in Chicago, IL. Your menu matters. We want to help you make it shine.